Looking for Christmas gifts that challenge your kids to learn as they play? That’s just one of the reasons these interactive Sphero Robots make such awesome gifts for kids! I love the fact that my girls go to a school that challenges them and encourages them to grow. The problem is that when they come home, the first thing they want to do is head straight to the computer. This is especially true with my oldest and I’m constantly trying to come up with new ways to challenge her at home. Now I’ve found the perfect way to get her off the computer…without even having to ask! If I’d known that all I had to do was give her Sphero robots, I would have done it a long time ago! I don’t mind some computer time here and there. However, what I really want for my kids are fun, interactive toys that they can learn from. That’s why I’m loving these Sphero products. My girls just think they’re playing with a cool new toy. What they don’t realize is that they’re also being challenged to think and solve problems as they play. It’s hard to decide which one of these we like best, the Sphero BOLT or the Sphero mini. These app enabled robots are interactive and encourage kids to be creative. We started with the Sphero BOLT. Once we downloaded the Sphero Edu app onto the phone, it didn’t take long to learn how to use it. I helped a little but Ashling was able to figure it out pretty quickly on her own. She quickly found that there were a ton of ways to use her new Sphero BOLT. Ashling was able to choose community created activities. create and customize her own games or just use the app to drive and play. The advanced sensors allow her to keep track of the Sphero BOLT’s acceleration, speed and direction. 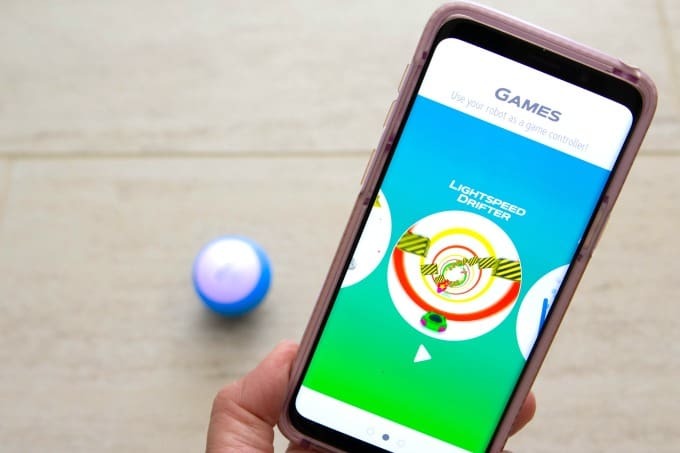 If you have two Sphero BOLTS, the built in infrared communication even lets them interact with each other, unlocking even more games and coding options. 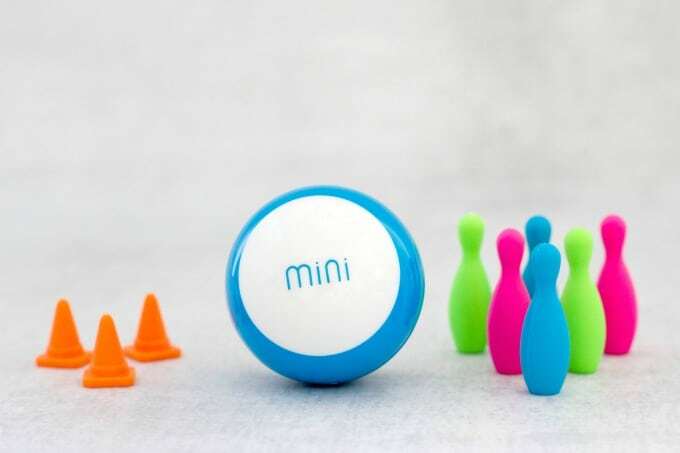 The Sphero Mini is much smaller, packing a ton of fun into a tiny ping pong sized robot. There were lots of different games to choose from, so Ashling could decide whether to shoot her ball through space or destroy a tower of bricks. Plus, with the app updates, there’s always something new just around the corner. I know nothing about coding but with the way technology is growing, it’s an important skill for our kids to be learning. Ashling really enjoyed being able to completely create her own program and customize her Sphero BOLT. 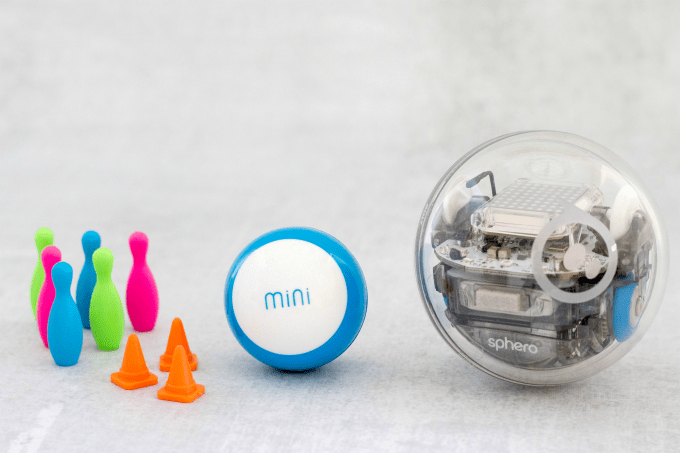 The Sphero Mini can be programmed and customized using the same coding programs. My girls liked the challenge of trying to “teach” it to go through the obstacle course. If you have kids, you’re probably familiar with the term STEAM learning. This type of learning, which stands for science, technology, engineering, arts and math, encourages critical thinking and helps to prepare kids for the future. 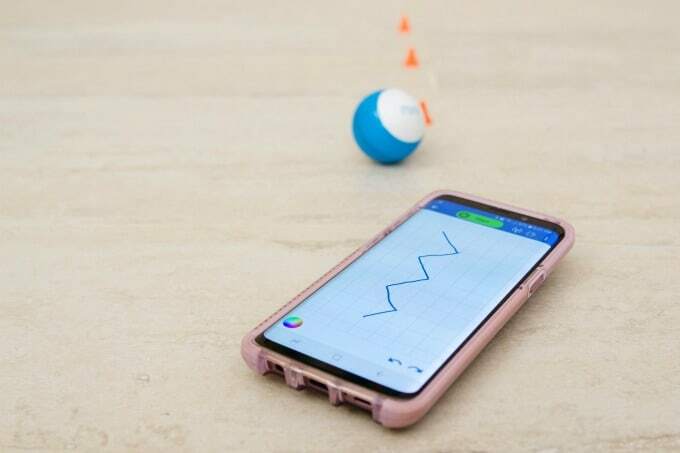 It’s pretty clear to see how technology fits in but Sphero has done an amazing jobs of incorporating all aspects of STEAM learning into their games and activities. If there are specific subjects you want to work on, Sphero helps you find the ones best suited for your child. 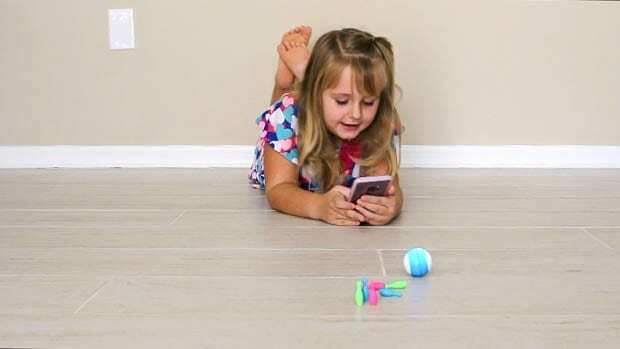 Playing with the Sphero BOLT and Sphero Mini gives kids a strong foundation in computer science. They’re encouraged to take risks, experiment and problem solve so that one day they can become innovators and leaders. 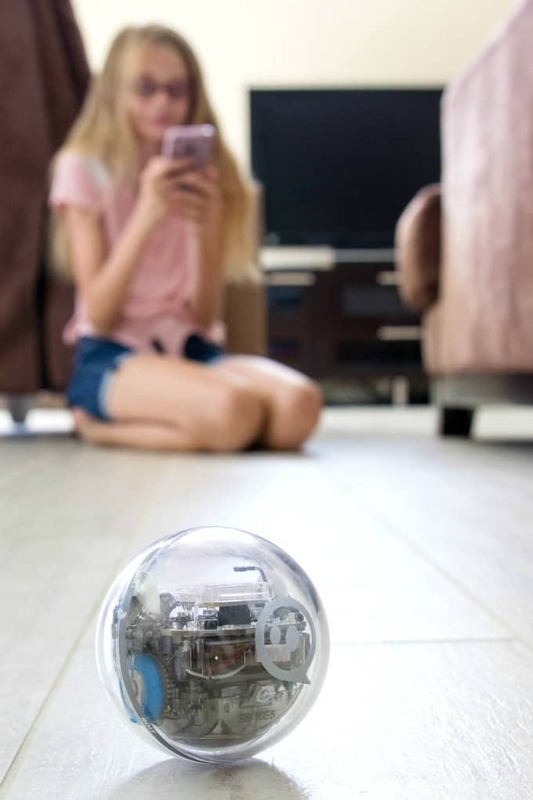 Because there are so many different ways to play with these robots, they’re great for children of all different skill levels. Younger kids can easily use the drawing screen or even put the coding blocks together while older kids can choose more advanced options. When I was browsing through the different games that were available, I found activities for kids as young as K-2 all the way up to high school students. 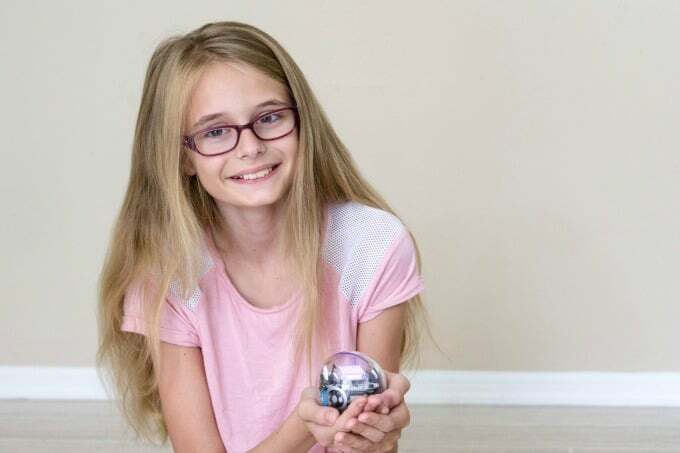 While I initially thought a Sphero Robot would be perfect for Ashling, it turned out they were great for her younger sister too! Keira felt like the Sphero Mini was just her size. She loved the games but was also super excited that she could program the Sphero Mini the same way her big sis programmed the Sphero BOLT. 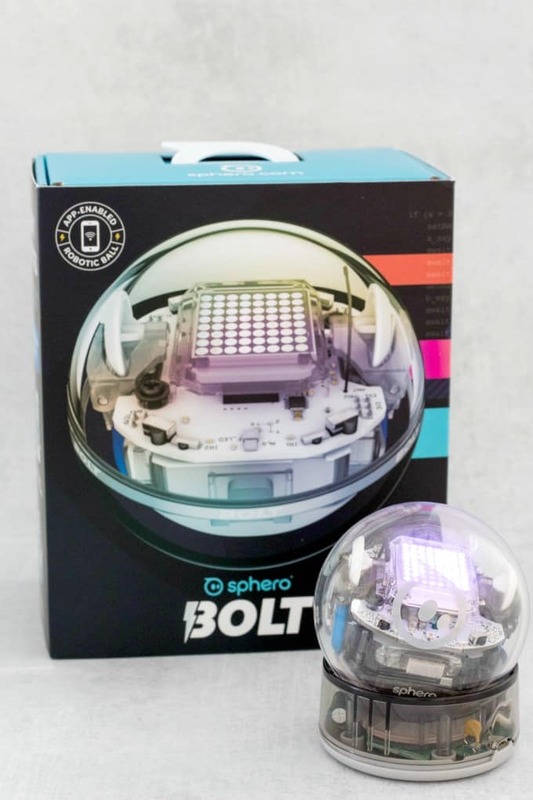 The Sphero BOLT and Sphero Mini not only encourage learning but they’re seriously fun too! There are so many ways to be creative with them and being able to program the robots to move, make sounds, change colors and more kept my girls entertained for a long time. They even kept ME entertained. 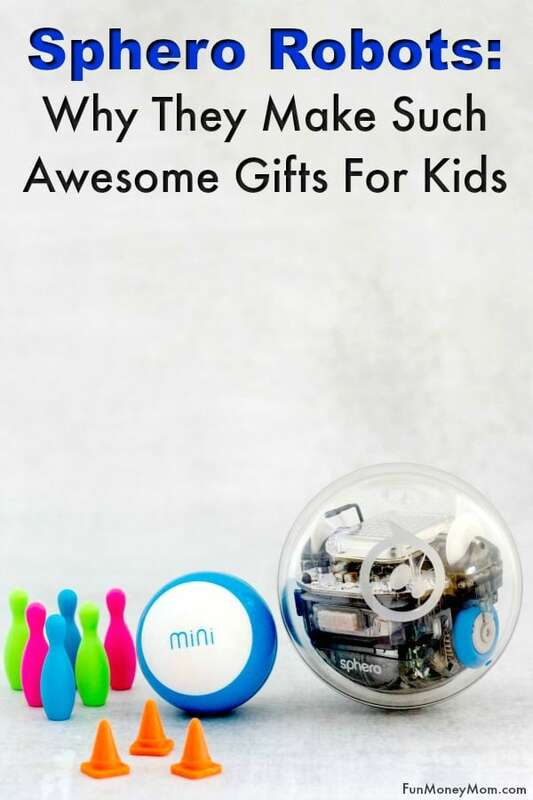 Plus, how can you not want to play with these cute Sphero Mini accessories! Even our kitten had fun playing with them! Buddy waited very patiently while Ashling programmed her robots, then went nuts chasing them around the room. It was pretty hysterical and definitely a bonus we hadn’t thought about! Our family had a blast with these Sphero Robots. There’s definitely a coolness factor to being able to program your very own robot and any little boy or girl would be thrilled to find one of these under the Christmas tree. Plus, if you buy between 11/28/18 and 12/1/18 you’ll get 15% off when you spend $100. If you’d like to learn more about these cool Sphero robots, follow Sphero on Facebook, Instagram and Twitter.